King Leonard enjoys a decadent lifestyle and whenever something he owns breaks, he discards it and buys a new replacement. Soon, he has a large pile of discarded objects outside his castle. One evening, his favourite teddy falls apart and he has no choice but to search the town for someone who can mend it. Unfortunately, like Leonard, the townspeople are in the habit of throwing away broken things and no one is able to help. 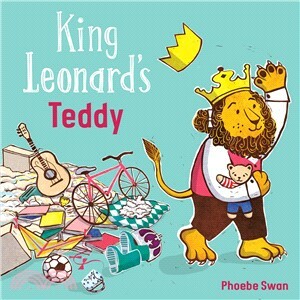 Will Leonard find a way to fix his friend, or will he have to add his teddy to the heap of rubbish by the castle?